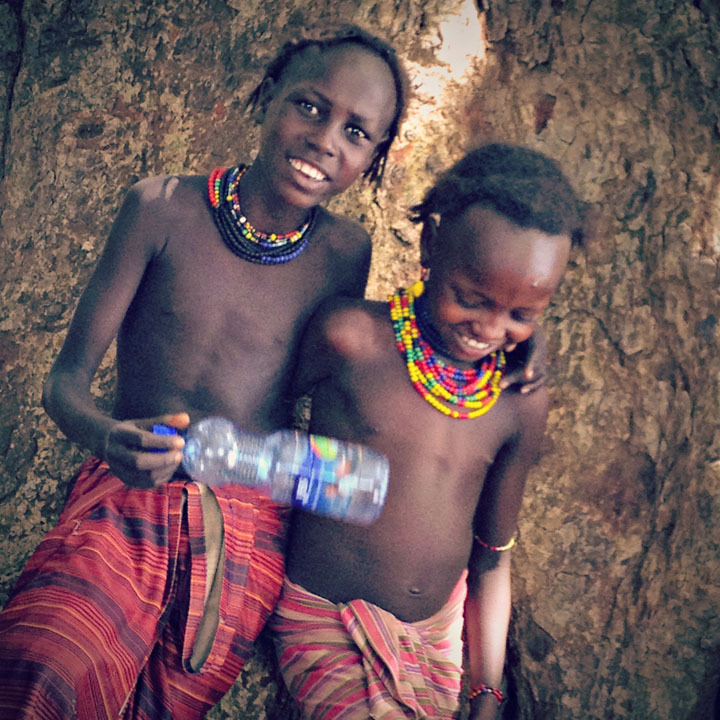 Children of the Daasanach people, like all the tribes in Ethiopia, want your empty water bottles as they serve as an easy method to carry small amounts of drinking water. Water is in short supply in this part of the world. The tribal people drink and bathe from rain puddles, and so do their livestock. I will think about this every time I let water run in a sink. Leighton Gleicher’s observation accompanies her image of two smiling Ethiopian children, plastic water bottle in hand, posted above a display showcasing dozens of empty water bottles in the Average Joe Photo Show now on view in the Homer Babbidge Library’s Norman Stevens Gallery. The show, which includes 234 eclectic images taken with cell phone or mobile device by professional and amateur photographers from this country and well beyond, all feature water and the human figure and were the result of an online appeal issued by two friends, one an accomplished artist and gallery owner, Lori Warner, the other an art historian, Rebecca Steiner, both from Lyme, Connecticut. In devising the project, the two sought to examine the increasingly important role technology plays in our daily lives and to consider our use of water, something we simply cannot live without. The project also includes a philanthropic twist: a portion of all proceeds from photo sales benefits water.org, an organization providing access to safe water and sanitation to people in Africa, South Asia, and Central America. 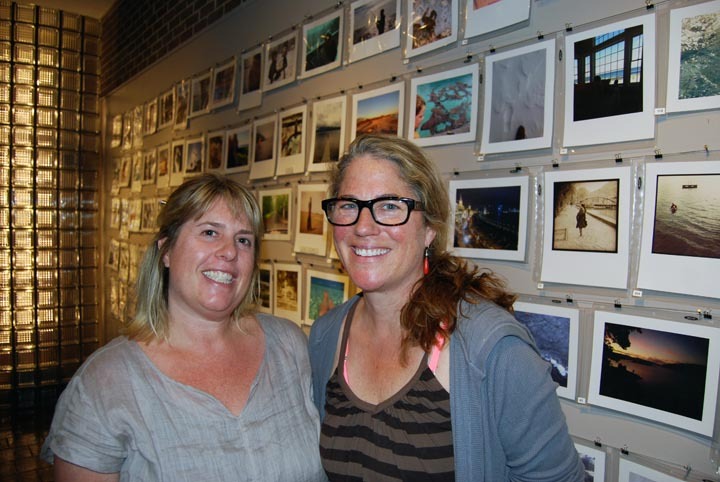 Lori Warner, left, and Rebecca Steiner, right, before their Average Joe Photo Show in Babbidge Library. The Average Joe Photo Show is now on view in the Norman Stevens Gallery in Homer Babbidge Library through October 24. A public reception will take place on Thursday, Aug. 28, from 5 to 6:30 p.m.
For more information about the project or to submit a photograph, please see the website www.averagejoe photoshow.com. In addition to the photography exhibit, the Libraries is featuring “Modeling the Art and Engineering of Roman Aqueducts with Legos™,” a series of aqueducts constructed of Legos™ by UConn Professor of Geology Gary Robbins. To provide water to crowded cities throughout the ancient Roman world, the Romans built some 600 aqueducts. Not only were the aqueducts marvels of engineering and hydraulics but also wondrous works of architecture and art. Robbins’ original Lego™ models on display exemplify some of the diversity in design of these marvels and demonstrate both how the aqueducts worked and why their ruins still evoke a sense of awe. For more information on both shows, please visit: http://lib.uconn.edu/about/exhibits/.